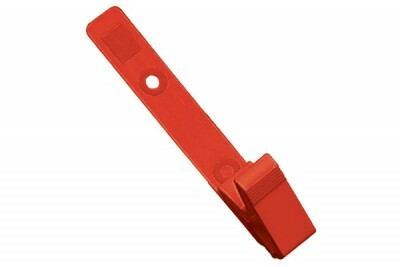 This plastic knurled thumb grip clip with derlin strap is a convenient attachment for any PVC name badge. The plastic, knurled thumb grip clip of derlin strap fastens securely to your belongings for display. The plastic clip has a thumb grip that ensures it is easy to open. The derlin strap comes with plastic snaps that close around your slotted ID or access card. The derlin strap of the plastic, knurled thumb grip clip is 2 3/4". The all-plastic strap is available in a variety of colors. Tip: Be sure to include a slot punch with your order.